* Payable in monthly instalments. Conditions apply. Club membership for up to 4 family members, use of courts at all times, excluding during the Hobart International.  Club membership, use of courts at all times excluding during the Hobart International. Free assessment, 30 min free coaching session, first pennant free, free hour with ball machine + $20 voucher. Club membership, use of courts at all times excluding during the Hobart International + $20 voucher. Membership for period of Hotshot term, $20 discount on Junior membership if activated within 7 days after completion of Hotshots program. Access to club social tennis during period of Hotshots. 10% discount on 1st year adult & family membership packages on referral by the club’s coaches. Access to courts Monday to Friday from 9am until 5pm, not eligible for pennant. To be linked with UTAS sponsorship. Qualify to play in DTC Pennants – must provide evidence as a member of an affiliated club. These prices are discounted due to yearly payable in advance. For enquiries contact manager@domaintennis.com.au or call 6234 4805 Monday to Friday during business hours.